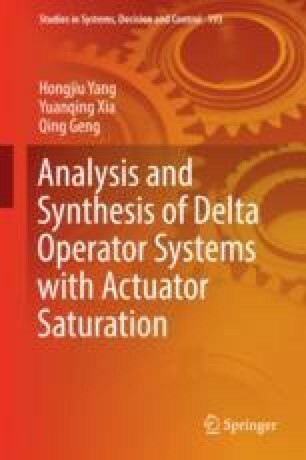 For high-speed sampling, delta operator has many advantages over traditional shift operator on study of system performances . A shadow-radiation-based fast iterative physical optics scheme, for analysis of scattering from large complex geometries involving multiple reflection and occlusion effects, has been proposed in . A probabilistic evaluation of energy absorption capability of transmission line surge arresters based on a Monte Carlo method has been presented in . It is reasonable that delta operator is used to replace traditional shift operator for fast sampling in analysis of high-frequency systems.